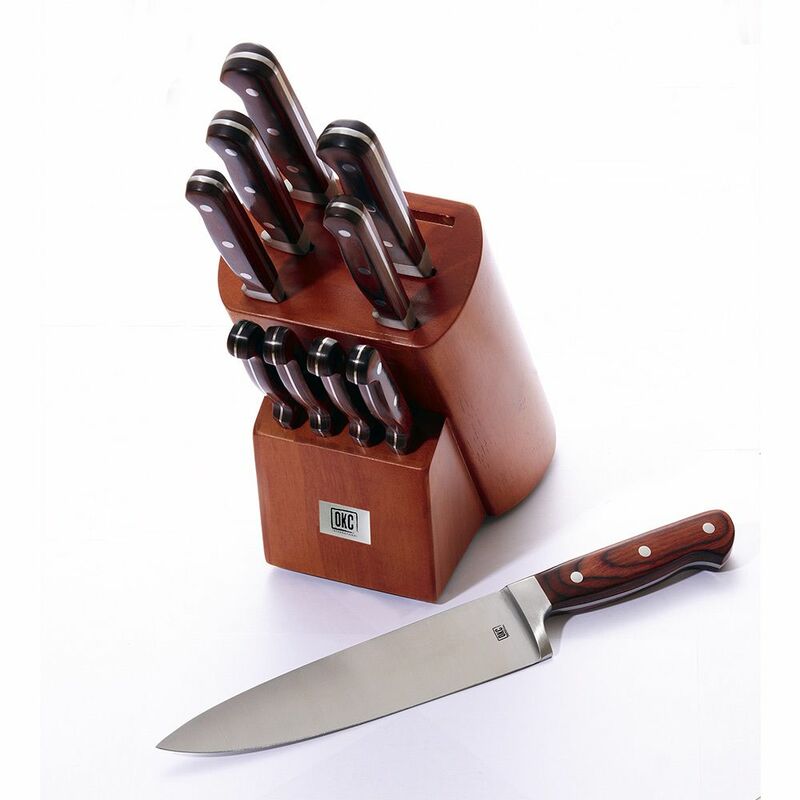 The King Cutlery 10-Piece Set comes complete with all of the knives that any home or professional chef could ask for ,includes a beautiful wood block and four steak knives. These knives are made of 420 stainless steel that hold a factory sharp edge. The forged blades have a full tang construction for strength and balance.You will love the classic red pakka wood handles with three rivets for extra durability.